Manuel Cardona was a Spanish physicist and his research interests included high temperature superconductors. 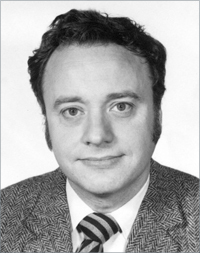 In 1971, Cardona became director of the Max Planck Institute for Solid State Research in Stuttgart, Germany. His other institutional affiliations included Harvard University, RCA Laboratories, and Brown University. July 9, 1934Birth, Barcelona (Spain). 1955Obtained Licenciado en Ciencias Físicas, University of Barcelona, Barcelona (Spain). 1958Obtained DSc, University of Madrid, Madrid (Spain). 1959Obtained PhD in Applied Physics, Harvard University, Cambridge (Mass.). 1959 – 1961Member, Technical Staff, RCA Laboratories, Ltd., Zurich. 1961 – 1964Member, Technical Staff, RCA Research Laboratories, Radio Corporation of America. 1963Visiting Professor, University of Pennsylvania. 1964 – 1971Associate Professor of Physics (1964-1966) and Professor of Physics (1966-1971), Brown University, Providence (R.I.). 1965Obtained MA, Brown University, Providence (R.I.). 1971 – 2014Scientific Member and Director (1971-1999) and Scientific Member and Director Emeritus (2000-2014), Max Planck Institute for Solid State Research, Stuttgart (Germany). 1984Awarded Frank Isakson Prize for Optical Effects in Solids, American Physical Society. 1988Miller Visiting Professor, University of California, Berkeley. 1992 – 2005Editor-in-Chief, Solid State Communications, Elsevier. 2000Miller Visiting Professor, University of California, Berkeley. 2001Fellow, Institute of Physics, London. 2009Fellow, Royal Society of Canada. September 7, 2014Death, Stuttgart (Germany). Both employed at Brown University. Obtained MA in 1965. Associate Professor of Physics and Professor of Physics. Scientific Member; Director; and Director Emeritus. Fellow and received 1984 Frank Isakson Prize for Optical Effects in Solids. Obtained Licenciado en Ciencias Físicas in 1955. Manuel Cardona Castro Physics Today obituary. The history of physics in Cuba / Angelo Baracca, Jürgen Renn, Helge Wendt, editors.